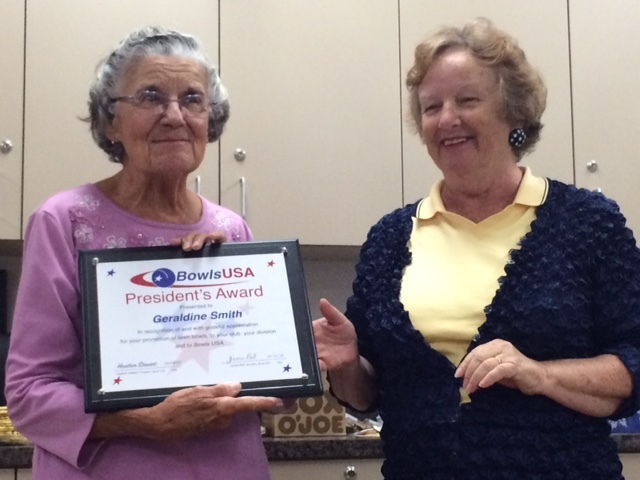 Geraldine Smith received a Bowls USA Presidents Award for promoting Lawn Bowling. Congratulations. See LINK. SLBC Member Sharon Farrish and her team won Silver at the 2015 Ontario 4’s Championship. SNN has profiled us for TV spots.